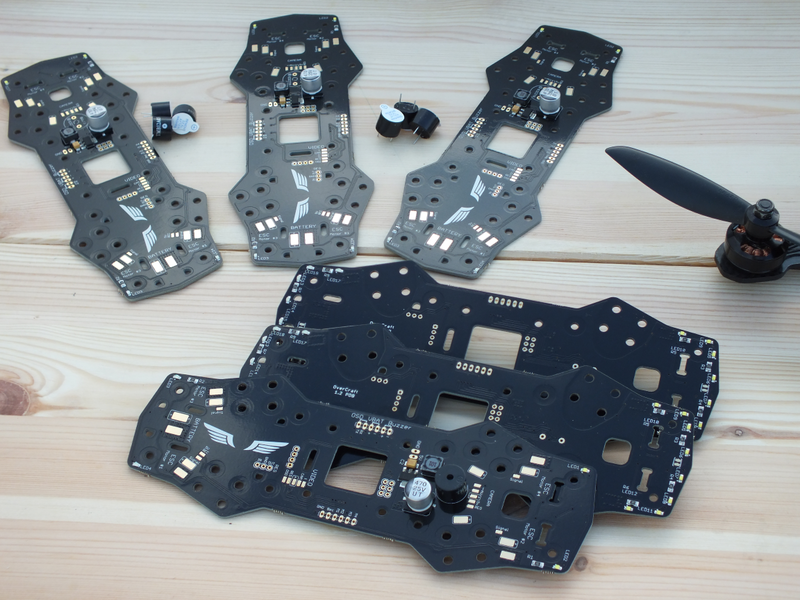 Team-Legit Is proud to be the Exclusive seller of these ZMR PDB boards Designed by Overcraft. Specifically designed for the ZMR250 frames. This PDB designed in Spain will help make your ZMR250 a breeze to build not to mention the elegant look of clean wiring setup. You can integrate your Minim OSD directly to this board for all your telemetry needs. With the carefully placed VTX and Camera pads you can take advantage of the built in Voltage regulator and LC filter. 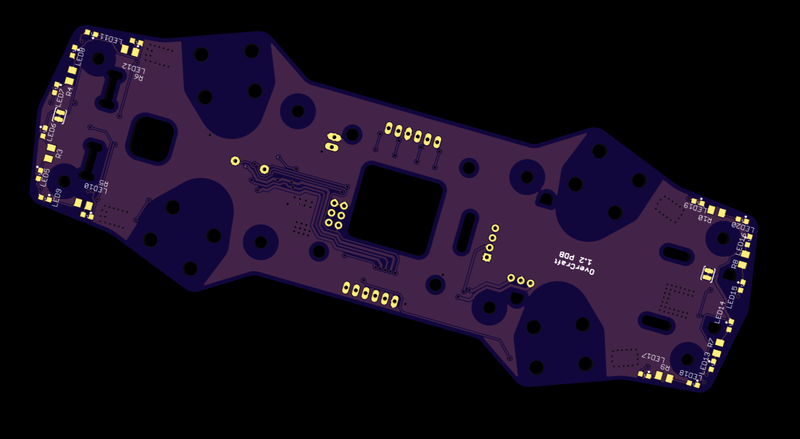 The PDB also features pads with regulated 5v to power your FC and RX. There are also 10 bright SMD leds spaced through out the top and bottom of board for better orientation and being able to spot your rig in low light situations. Don't forget the built in Low voltage / Low model beeper that integrates directly witht he DF32 (naze) boards.